A vibrant arrangement of an aquamarine gemstone set in polished 14K white gold is more than stunning. Apples of Gold are the jewelry industry experts and this ring is a perfect example of why their designs are cherished. 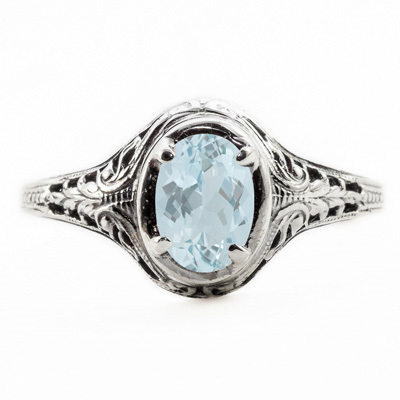 By setting the oval cut aquamarine gem in polished 14K white gold and using art nouveau inspiration, they have created a show-stopping piece of jewelry. 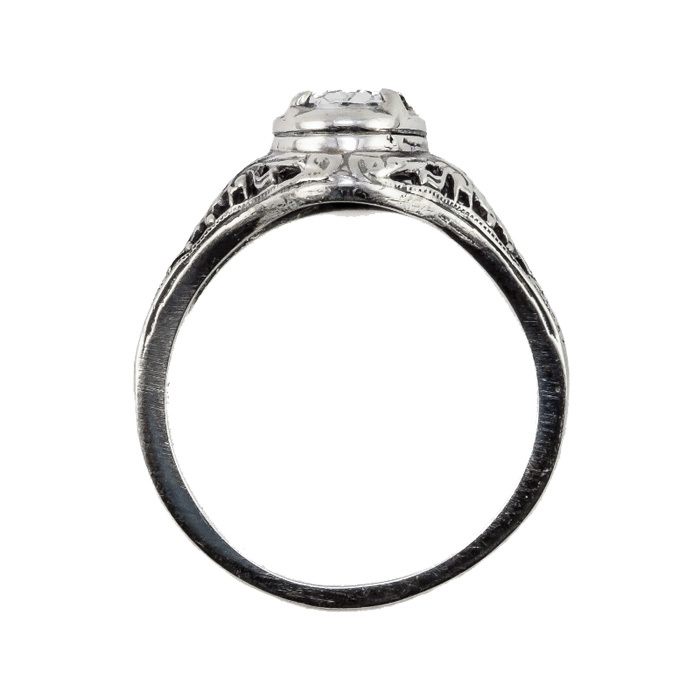 The aquamarine gem is set in the center of the ring with a total measurement of 7mm x 5mm. 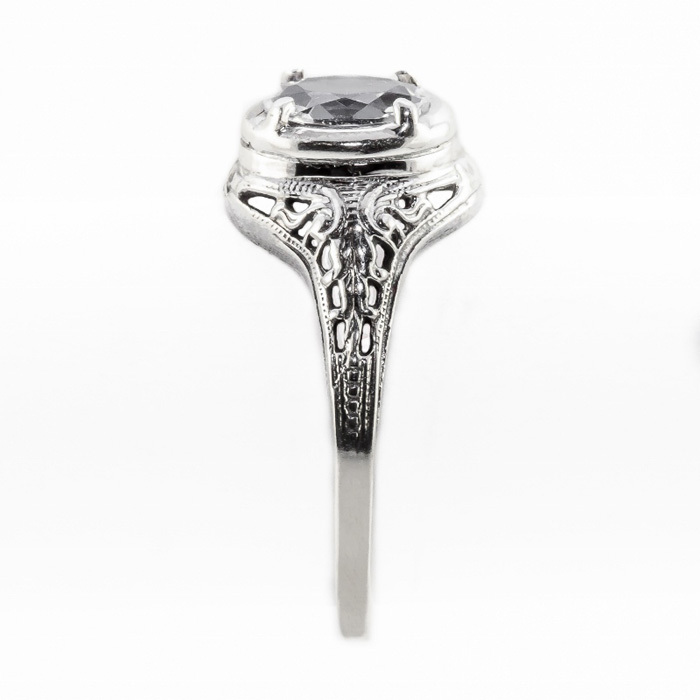 This stunning piece of jewelry will fascinate and inspire everyone who is fortunate to receive it as a gift. We guarantee our Oval Cut Aquamarine Art Nouveau Style 14K White Gold Ring to be high quality, authentic jewelry, as described above.